GORGEOUS GOWN! Please note that the professional photos for demonstrative purposes show the gown in white. The remaining photos are the ivory/gardenia color that is the color of this dress. I have uploaded an image of myself wearing the sample size dress in the store; however, it should be noted that this dress is BRAND NEW, still in the bag (never even tried on) and unaltered. While I am obsessed with this gown I fell in love with a different dress for my wedding day. 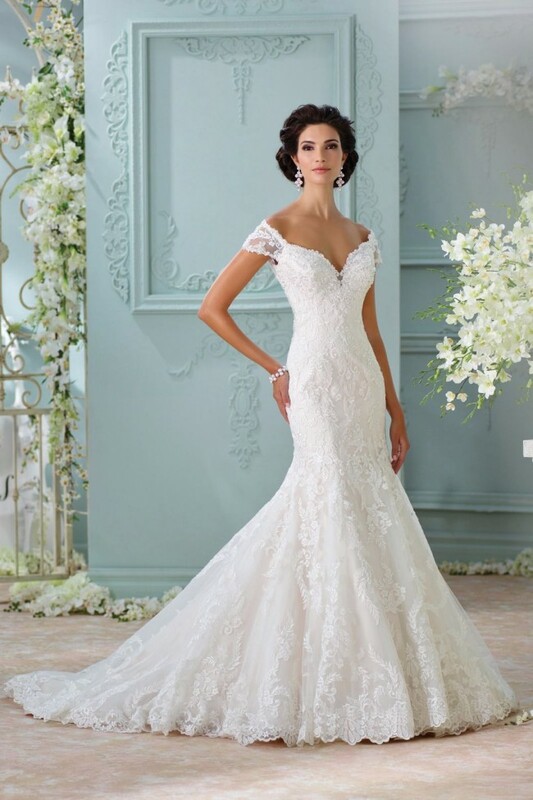 Off the shoulder wedding dress with embroidered Venise lace appliqué, tulle and organza over satin trumpet gown with illusion lace cap sleeves, deep sweetheart neckline, illusion lace low back bodice with crystal button closures, dropped waist, scalloped hemline, chapel length train. 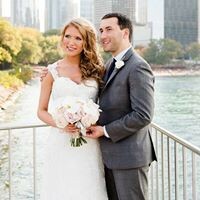 Was purchased in Illinois at House of Brides Couture and picked up in December 2017.